The ACLU calls the U.S. the largest jailer in the world, holding roughly 25 percent of the world’s prison population despite the fact that national population represents only 5 percent of the world’s. After a three-year decline in the incarcerated population that began in 2010—a hopeful counter to decades of growth—the number of people in prison in the United States increased again last year, according to a report released recently by the Bureau of Justice Statistics (BJS). The U.S. has the highest prison population rate in the world, according to the U.K.-based International Centre for Prison Studies’ most recent World Prison Population List. 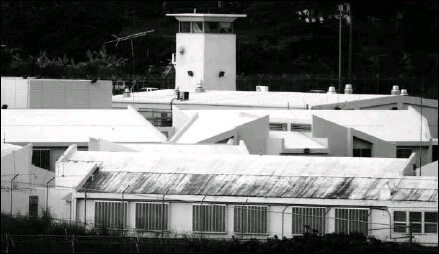 As of the end of 2011, the prison rate in the U.S. stood at 716 out of 100,000 of the national population, just ahead of St. Kitts and Nevis (714) and Seychelles (709). The rate-drop is greater with the next few entries on the list: U.S. Virgin Islands (539), Barbados (521), Cuba (510) and Rwanda (492). Nearly 22 percent of the world’s 10.2 million inmates, counting both pretrial detainees and sentenced prisoners, are being held in the U.S., according to the World Prison Population List. State and federal prison populations have been on a long-term upward trend since at least the late 1970s, according to a report published by BJS in September. Both populations have multiplied since 1978, when the state prison population was below 300,000 and the federal prison population had not yet reached 50,000. The increase in incarcerated in 2013 came from an increase in state prisoners, which was mitigated slightly by a decline in federal prisoners, the first since 1980. At the same time the number of people in local jails and on probation decreased, contributing to an overall decrease, albeit of less than 1 percent, in the country’s correctional population. The BJS released its findings just one day after the Death Penalty Information Center, a Washington, D.C.-based nonprofit released a report showing that in 2014, the U.S. had its lowest annual rate of executions in 20 years and the lowest number of death sentences given in four decades. 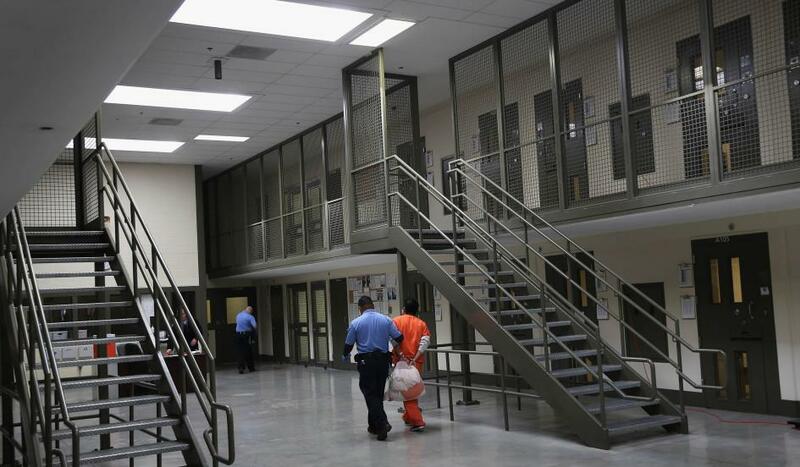 2,220,300—The number of people incarcerated in the U.S. in 2013. That includes 731,200 held in local jails and 1,574,700 in state and federal prisons. Adding in those on probation on parole, the total number of people under adult correctional supervision came to 6,899,000. 3.4%—The average annual increase in the female jail population since 2010, which represents the fastest-growing group within the correctional population. 2,830—The number of adults in the U.S. under correctional supervision per 100,000 U.S. adult residents, down from 2,870 per 100,000 in 2012. However, Lauren Glaze, one of the lead authors on the BJS report released Friday, says it’s important to recognize that half of that change is due to an increase in the number of residents in the U.S. rather than a decrease in rates of correctional supervision. 1 in 110—The number of adults in the U.S. who were in prison or jail during a one-day snapshot in 2013. One in 51 adults were on probation or parole. In total, one in 35 adults were under some sort of correctional supervision. 4,300—The number by which the U.S. prison population increased from 2012 to 2013. The number of state prisoners increased by 6,300 in 2013. At the same time, the number of inmates in federal prisons decreased (by 1,900) for the first time since 1980. Glaze says that both the number of inmates admitted to federal prison and the number released fell, but the former at a faster rate than the latter, which would explain the first drop in the federal prison population in more than three decades. 56.7%—Those on probation as a percentage of the total correctional population. The rest of the population is made up of prisoners (22.8 percent), parolees (12.4 percent) and jail inmates (10.6 percent). Because those on probation make up such a large share of the total correctional population, Glaze says, the changes in that group drive the change in the total correctional population. 2008—The year the correctional population first declined. Two years later, 2010 saw the fastest annual decline in the correctional population at 2.1 percent, compared with a 0.6 percent decline in 2013.